The invigilator is responsible for upholding the integrity of the external assessment and ensuring proper conduct of the examination. The invigilator must also ensure that all candidates have an equal opportunity to demonstrate their abilities. 1The assessment room is correctly set up with a sign on the outside indicating that an assessment is in progress. 2The assessment room has appropriate conditions conducive to sitting an examination – i.e. appropriate heating, lighting, ventilation and level of external noise. 3He/she is aware of the location of the nearest toilet. 4The seating plan is appropriate. 5He/she is aware of the location of the nearest toilet. 6The seating plan is appropriate. 7All computers are in place and in good working order and that an eLearning technologist is present, in order to deal with any technical issues that may arise. Spare computers must be available in the room should they be required. 8A reliable clock, large enough for all to read is visible to all candidates. 9All learners must sign the Candidate Register Form on entering the assessment room. 10Adequate checks are conducted to confirm the identity of all candidates – photo I.D. is essential. 11Any unauthorised items/materials/equipment, including mobile phones (switched off), are out of reach of candidates. 12The establishment has made appropriate reasonable adjustments for candidates with particular assessment requirements PRIOR to the assessment date, and these are made known to the invigilator. 1Supervise the candidates and give their complete attention to their duties whilst the assessment is in progress. 2Be vigilant and remain aware of emerging situations, looking out for cheating and malpractice or candidates who may be feeling unwell. Any irregularities must be recorded. 3Move around the assessment room quietly and at frequent intervals. 4Must have access to a mobile phone (switched to silent), in order to summon help, should they need to without leaving the room. On successfully achieving the set pass mark, the candidate will automatically receive a congratulatory message and once you ‘Generate the Certificate’ in your admin panel, they will be emailed a co-branded digital Certificate and a digital credential badge to showcase their quality skill externally via the web – i.e. social media profiles, C.V.’s and job application forms. 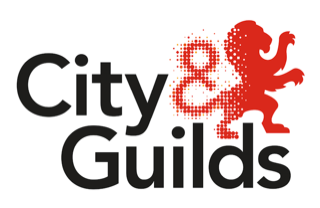 This badge may take up to 28 days to be emailed, as it is dependent on the City & Guilds processing department. Should you / the candidate wish to purchase a hard copy of their certificate, you / they will need to purchase it via the KAZ Web shop.